HAND MADE IN SCOTLAND TO ORDER. 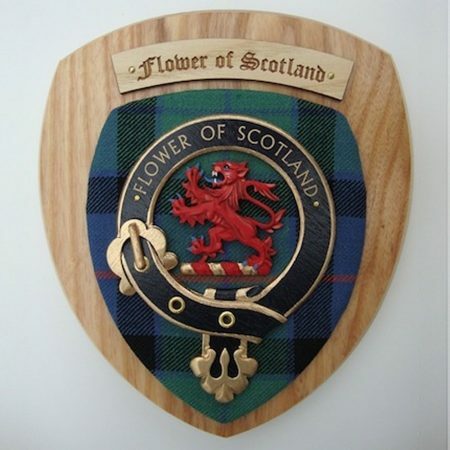 Hand made Clan wall plaque 7 inches x 8 inches. This item will be sent to you directly from our supplier once made. Only the Clans in the drop down list are available, however if you require a spelling variation of a name eg: MacLean to be spelt McLean please note this in the Order Notes box on the Billing Details Page during the checkout process. Any queries and order updates will be sent directly to you from our supplier.